There is something deeply and inexplicably satisfying about watching workers hand-paint street signage. Some use straight edges, stencils or templates to draw straight lines. Others simply go by feel, using sketched outlines, intuition and experience as their guides. London designer Tom Williams saw a crew of painters working their way down the street and set up his camera to record their work. The short film above is well worth watching, perhaps on loop … forever. Tam is a veteran painter. He uses no guides at this point, just teamwork. One partner steers the line and the other pours the paint. Some workers still use side guides, but do the curves (arguably the most difficult part) by hand, but without relying on an outline. [Bonus: watch another captivating manual lettering video here on Twitter]. This gave me chills…you’re right, there is real beauty here. 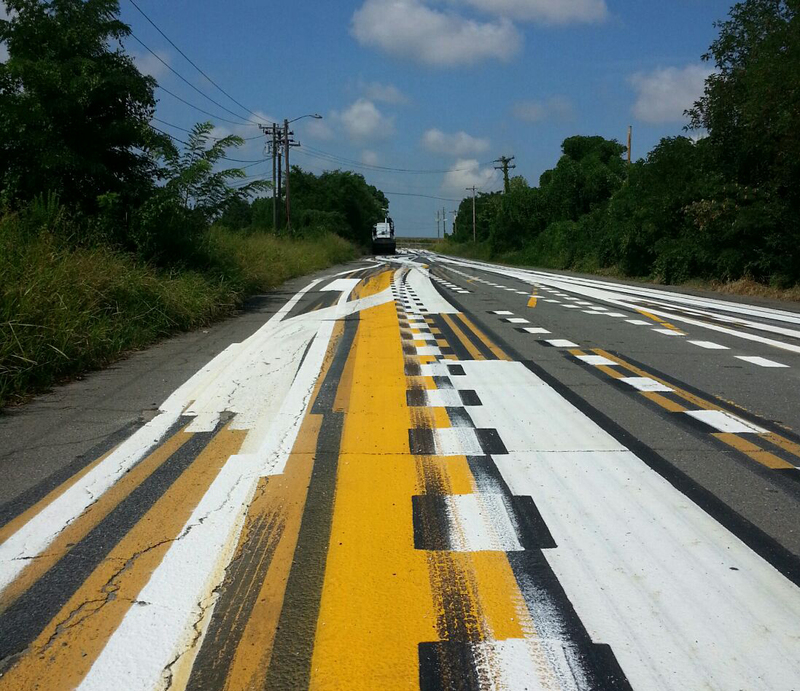 Amazing they do it without stencils. Will make me look more closely at those words under my tires/feet. Next, I want to see stop motion of baseball field prep/linesmen. I am having an airport taxiway striped as we speak in Tampa Florida. Its amazing to watch these guys at work. They ride on these little buggies and apply the paint precisely where it needs to go. Its amazing. I watched him freehand in a 90 degree curve over 600 feet without anything but a center guideline. Amazing. That is freaking awesome. Truly invisible beauty and design. (Reminds me of the recent story of the homemade interstate signage in the LA area). Choices and work are made that seem easy but are actually quiet hard.